Everyday tool to protect the places you love. The Endangered Waves App empowers and incentivizes surfers and beachgoers to monitor the health of their own coastlines through crowdsourced data. Winner of 'Best Conservation' App! 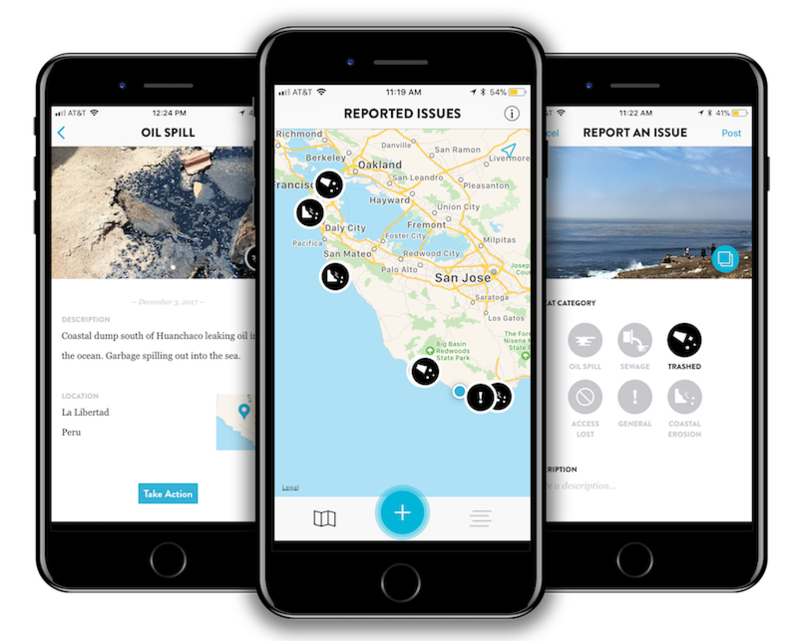 Empowering surfers and beach lovers to become real-time coastal stewards, and turning everyday global citizens into citizen scientists. Save The Waves will use this data to better track and prioritize coastal threats, educate users, and share with coastal agencies and partners to take action worldwide. Calling all beach lovers to help identify and clean the dirtiest and trashiest surf spot! Winning submission will receive a $5000 day of stewardship with Save The Waves to clean their beach and a cash prize. To enter, submit a new Report and photo via the Endangered Waves App and select the Dirty Wave Challenge category. Challenge is open between October 20 and December 20, 2018. Please review our Terms & Conditions for this competition for rules and restrictions. See issue at your spot and take a photo. Select an issue from the threat category. Take action and share to social media. If you see a significant amount of oil, either coming from land or sea, document it. Obtain overall perspective on shoreline types and degree of contamination in the area of impact. Indications of a sewage spill: reddish, brown, or yellow hue; odor that smells like gasoline fumes, rotten eggs, raw sewage, or has a sour smell; cloudy discharge; floating solids or foam in the water. If you see a significant impact to the beach/coast from plastic, trash or marine debris. Try to document what types of products, and whether they came from the land or the sea. If you see a large change in the coastal environment from erosion. Try to feature something human to show scale of event. If there is a barrier to once was an accessible coastline, we want to know about it. Feature the barrier and describe the change. Document other threats like stranded marine mammals, other illegal development or coastal hazards. Follow the link below to complete a survey on your experience with the Endangered Waves App! Your gift will be a direct donation to the empowerment of coastal stewards everywhere.